Tempers are likely to flare on Friday during a joint meeting between the city of San Jose and Santa Clara Valley Water District. At issue is why taxpayers shelled out millions for better flood protection only to recently watch their homes go underwater. San Jose City Councilman Raul Peralez is hurling harsh criticism against his counterparts at the Santa Clara County Water District for failing to adequately manage millions of taxpayer dollars earmarked for flood protection projects. San Jose City Councilman Raul Peralez is hurling harsh criticism against his counterparts at the Santa Clara County Water District for failing to adequately manage millions of taxpayer dollars earmarked for flood protection projects. Investigative Reporter Bigad Shaban reports on a story that first aired April 26, 2017. Communities that stood to benefit from such projects were devastated two months ago when flood waters inundated 582 homes and left behind more than $75 million in damage. Peralez credits a recent NBC Bay Area investigation for revealing a lack of flood protection projects along Coyote Creek, despite taxpayers paying more than $36 million over roughly the past two decades to construct improvements in the area. This map shows the parts of San Jose that flooded during the February 21 winter storm event. Following devastating floods in 1997, voters in Santa Clara County approved a new parcel tax to earmark funds for flood protection projects. According to documents obtained from the water district, $10.8 million of those funds have since been spent on plans and designs. Not a single fix, however, has been implemented. 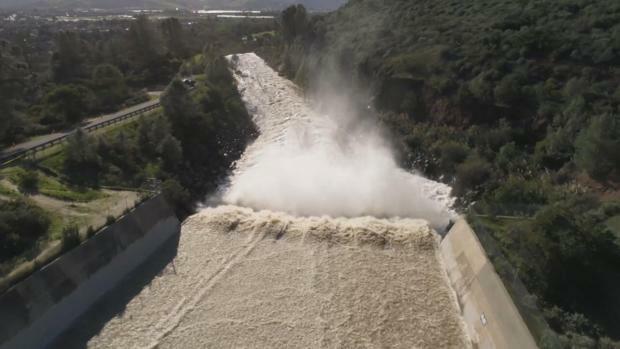 Peralez plans to raise his concerns on Friday during a joint public meeting between the San Jose City Council and the Santa Clara Valley Water District, which is responsible for planning, designing and implementing flood protection projects across the county. San Jose City Councilmember Raul Peralez credits a recent NBC Bay Area investigation for revealing a lack of flood protection projects along Coyote Creek, despite taxpayers paying more than $36 million over roughly the past two decades to construct improvements in the area. Johnson and his husband have lived in their home near William Street Park since 2008. Coyote Creek is a mere two blocks from their house. Johnson, a nursing professor, said on the evening of Feb. 21, he returned home from teaching to find water rushing into his home. He waded through waist-high water to rescue his three dogs and retrieve a few important documents and belongings. He now blames the water district for much of the damage caused by the flood. Garry Johnson has lived in San Jose since 2008. His house was one of 582 homes in the city that flooded during February's winter storm. The water district has provided some protection along the creek — from the San Francisco Bay to Montague Expressway, but that did not include neighborhoods that have now suffered drastic flooding twice over the past 20 years. Richardson sat down for an interview with the Investigative Unit last month. Protecting the most flood-prone neighborhoods, according to Richardson, could cost between half a billion to a billion dollars. While the water district has already spent millions of tax dollars on designs, Richardson acknowledged the planning process has been put on hold in order to research alternative flood protection projects. One option, according to Richardson, is to construct projects further upstream at Anderson Dam in order to reduce the amount of water that would flow into neighborhoods downstream in the event of another major rainfall. “We felt like waiting and pausing and looking for a solution – that could perhaps solve a greater problem and protect more parcels – was a better use of our money,” Richardson said. Pursuing alternative plans means some of the district’s multimillion-dollar designs will need to be redone. The new planning process isn’t scheduled to produce any results until 2025. Richardson admits it’s “not acceptable” for residents along the creek to have to wait an additional eight years for better flood protection. “That’s very difficult, and I feel so bad for those people,” Richardson said. Meanwhile, Johnson said construction on his flooded home could last at least four more months, forcing him to continue to live with friends. While the renovation process occupies much of his time these days, he is also concerned about what he describes as a lack of accountability at the water district.